We expect to be our clients' best service provider. Ready for Expert Electrical Service? • Services throughout the Cleveland area including Cuyahoga, Medina, Geauga, and more. 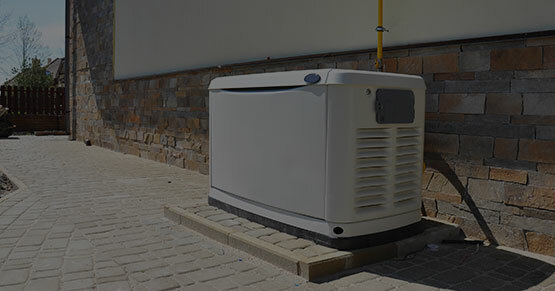 Core values statement: To provide the best service and install the best equipment at a reasonable price. To treat our clients with respect, to be honest, and upfront. We have integrity, it is what we do when no one is looking that counts. 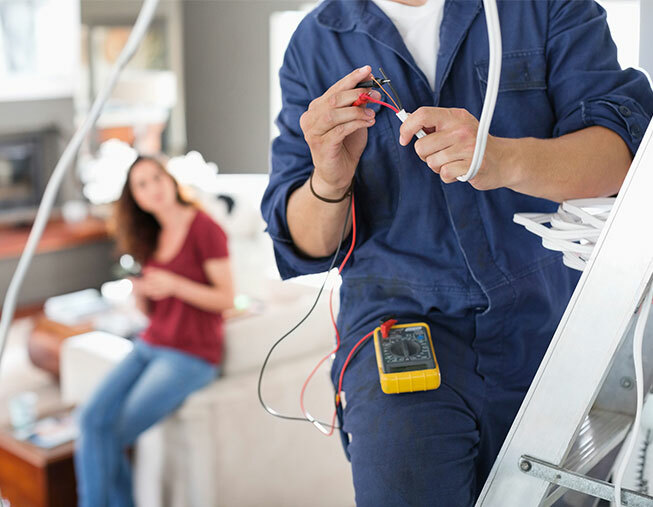 Whether you are looking to install a new ceiling fan, a new electrical panel, or a complete house rewire BLUE COLLAR ELECTRICIANS has you covered. 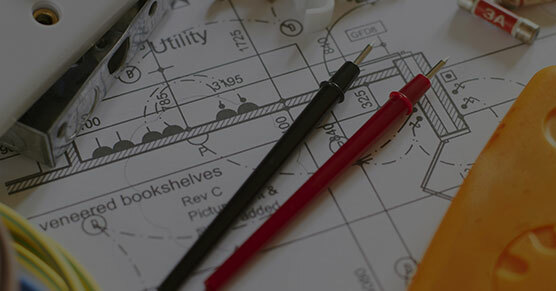 We provide a complete range of electrical services to fit all your needs. We can repair or install anything with a wire including your new thermostat all the way to replacing your main electrical panel. We have been providing homeowners and businesses with the high quality electrical services they deserve. 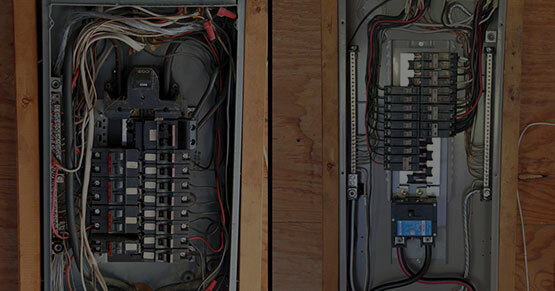 We have highly trained, experienced and licensed electricians waiting to serve you. We stand out by making sure we exceed client expectations and get their jobs done on time. Through this we have gained a reputation of doing quality work at a reasonable price. 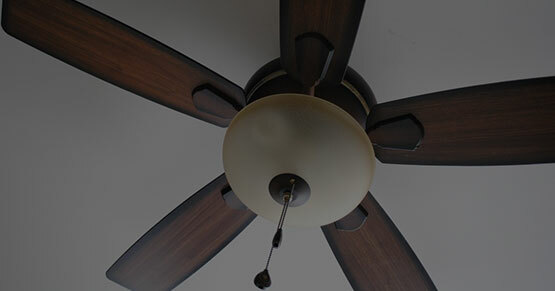 Whether you are in need of a service upgrade, complete home rewire, or need a ceiling fan installed we have your back. I had some electric issues with my septic system and was very nervous as to what was wrong and how to get it resolved. I have owned my house for 23 years and I’m always apprehensive about hiring any new company to help with repairs. I gave Blue Collar Electricians a call, explained my issue, and they were out ASAP. The price was fair and I was very impressed with the knowledge that Dennis had in a workaround to get my system up and running!!! Everything is working great. I can’t say enough about this company and will use them for any future electrical repairs. I don’t write reviews and, to be honest, they were out a month ago but just need to support this company so I had to post. You will not be disappointed in this company! An A+ job: on time, clean & complete, and instructive. From start to finish, they get the job done. I had a 220 line added for my new electric oven and these guys are great. They got my job done without any problems, you can’t even tell they were ever here. These are my new electricians for all my electrical work. I hired this company to install a big post light out in my backyard 100+ ft away to light up my large backyard in the spring. They trenched it all the way and put it in a pipe, and I couldn’t even tell they did anything when they were done. I haven’t had any problems with the new big post light so I just had them come and run power to my shed in my backyard. They did the project on a Saturday because that’s the only day I had available and did a great job! I have outlets and lights in my shed that I have wanted power in for years. I’m extremely happy with Blue Collar Electricians and recommend them to all of my family and friends!! From start to finish my experience of using Blue Collar Electricians LLC has been 2nd to none. From the initial FOC quote stage through coordination from their office personnel (Laura in my case) and then through to the physical work being completed by in this case Dennis, John and Jacob, everything was excellent! The time of arrival by the 3 guys and their courteous approach to us on this large & invasive job, efficiency & neatness of the new panel install with various new circuits, along with the finished product and clean up of work areas: fantastic! 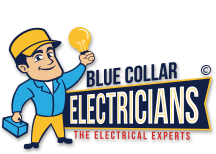 I would without hesitation recommend Blue Collar Electricians LLC for any electrical home improvements, I will certainly be using them again in the future. I was looking for a company to upgrade my lights to LED and was referred to Blue Collar Electricians. The crew came out on time and did a great job; all I had to do was watch. These new lights exceed my expectations and I am glad I chose this company for the work. They were professional and knew their craft. I would highly recommend them for any electrical work. Needed some electrical work done after purchasing a 20-year-old house. Called Blue Collar and they made an appointment right away. Dennis was very honest, knowledgeable and super friendly. He’s been out a few times for other issues and I’m always very pleased with his work. Reasonably priced for excellent service. I highly recommend this company for any of your electrical needs. Was very happy with the professionals at Blue Collar Electric. They were very easy to work with from the first call to the jobs end! Everyone was extremely professional and easy to talk to! I felt very comfortable having them in my home. They were on time, worked hard, and me being new to the area, I’m glad I found go to electricians if I need any future work! Thanks Blue Collar! We experienced an electric outage late one evening. I called the Chardon office and was put in touch with the on-call electrician within minutes. He helped us troubleshoot the issue in order to get all our power back on in no time! Very friendly service. We will be using them in the future for all our needs!!! Other offices (anything electric) turned us away and wouldn’t even hear the issues because we were not customers in the past despite advertising 24/7 emergency service. Call these wonderful, honorable guys if you want fast service that is thorough and timely. I recommend them for large or small jobs. They do not do things halfway. They truly go the extra mile. 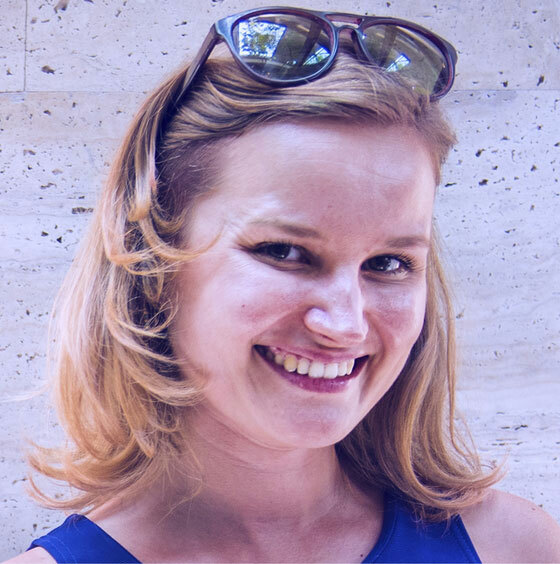 Their fees are fair and they really get the job done in the best way possible without breaking the bank. They leave your house with no mess left behind. Polite and considerate, Dennis Hutson and John are the best electricians you can employ. I am so glad I contacted them. Amazing amazing amazing. I had five other electricians come to my house and tell me that they could not put an electric box above my fireplace in order to hang a TV. John B. reviewed the job and said “I think I can” and he did. He was friendly, knowledgeable and clean. He also replaced a bathroom fan for me as well. I would highly recommend this company and plan on using them for ALL my electric needs. I cannot say enough good things about them. Easy to schedule and showed up when expected. Blue Collar electricians came out today to do some work for us. They were efficient and very easy to work with. I loved that they sent a text to let me know when they were on their way, as well as one the night before with appointment time. I highly recommend this company! Very impressed with the service we received. I really liked that I got the quote and then Dennis was able to do the job the same day. He made sure I was completely happy with what he was planning on doing and the final outcome was great. I will definitely call them again for all my future electrical jobs! Blue Collar Electricians is a knowledgeable, professional, thorough and highly competent electrical service company. I am a landlord and own a century home in Lakewood in need of a complete redo of the electrical system. I was very impressed with their knowledge of the current building codes which change periodically. I learned that the electricians who work here attend regular training classes to keep up to date. That is impressive given the number of communities they serve. The city of Lakewood inspected the work and issued a permit certifying compliance. Great job! Exceptional service answered my call on a late Sunday evening had tech at my house 7 am Monday morning. Great work and communication throughout the entire process. Highly recommend for any of your electrical needs! We expect to be our clients best service provider!